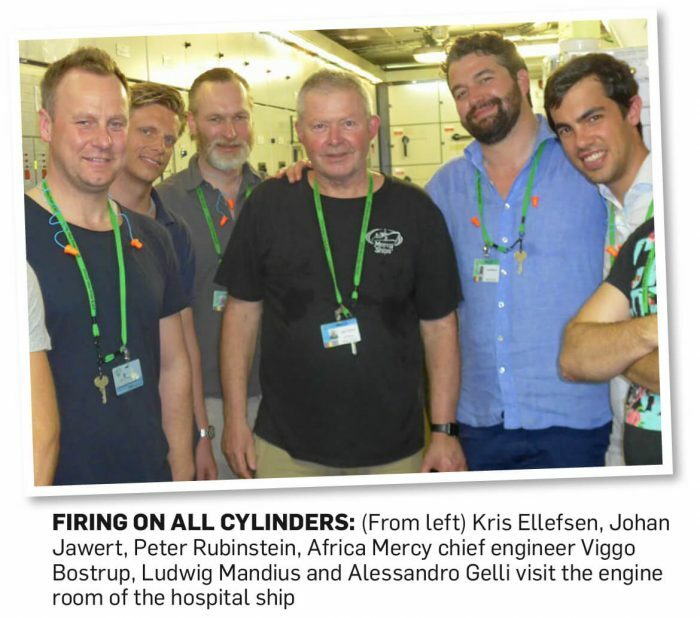 Senior figures from leading brokerages, traders and shipowning companies witnessed first-hand work being carried out by hospital ship charity Mercy Ships. 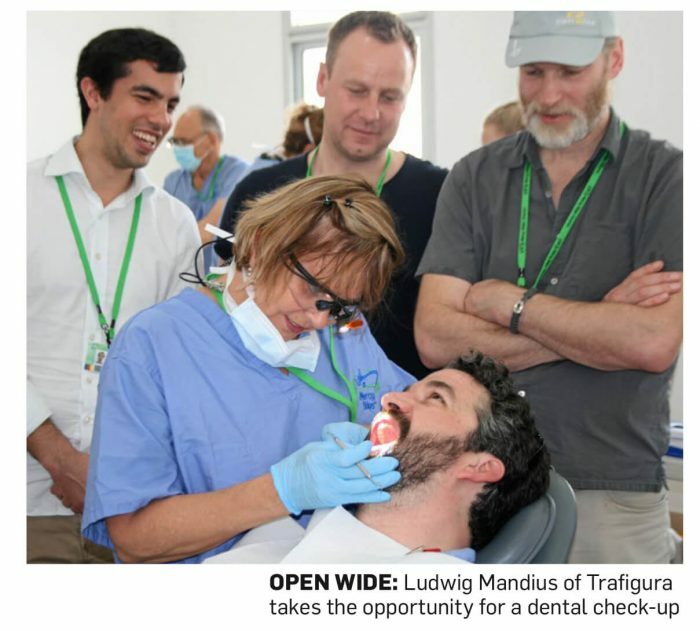 An aptly named Vision Trip saw the operator of the world’s largest civilian hospital vessel spend three days showing their guests from Switzerland, Norway, Sweden and the UK how thousands of people in some of Africa’s poorest countries benefit from free medical care every year. Many of the patients undergo life-saving operations; others more routine care such as the removal of cataracts and dental treatment. But one thing they all have in common is that, without Mercy Ships, they would continue to suffer because they lack the money to pay for doctors and medication. Companies represented on the trip to Douala, Cameroon, have already shown their support for Mercy Ships by backing its annual Cargo Day, which has raised $1m in the two years since it was launched. 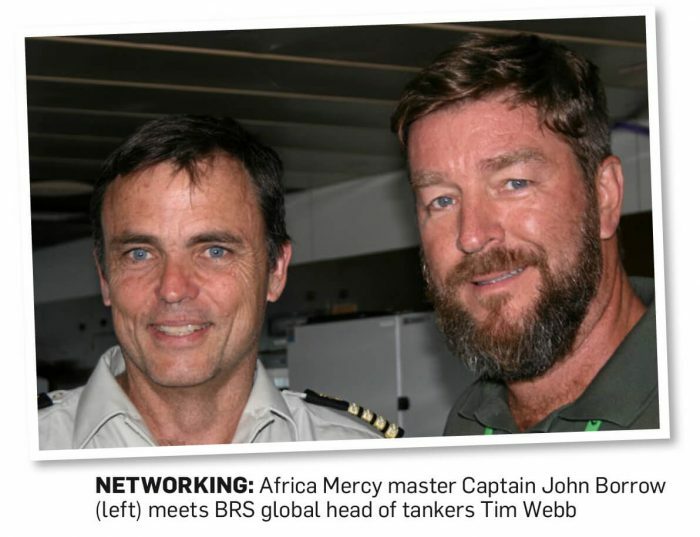 Tim Webb, head of tankers at BRS and chairman of Mercy Ships’ Cargo Day Committee, was joined on the Africa Mercy visit by BRS tanker analyst Alessandro Gelli. Others were Kris Ellefsen, head of tankers at Fearnleys; Johan Jawert, vice president of commercial operations at Stena Bulk; Peter Rubinstein, co-owner of Wisby Tankers and Wisby Shipmanagement; Ludwig Mandius, chartering manager at Trafigura; and Mike Anthony, a tanker broker at Braemar ACM Shipping. A third Cargo Day is planned for 3 October, when it is hoped that even more shipping players will join in the fundraising. Last time, there were 24 charterers, 20 shipowners, 24 shipbrokers, seven port agents and nine service companies participating. 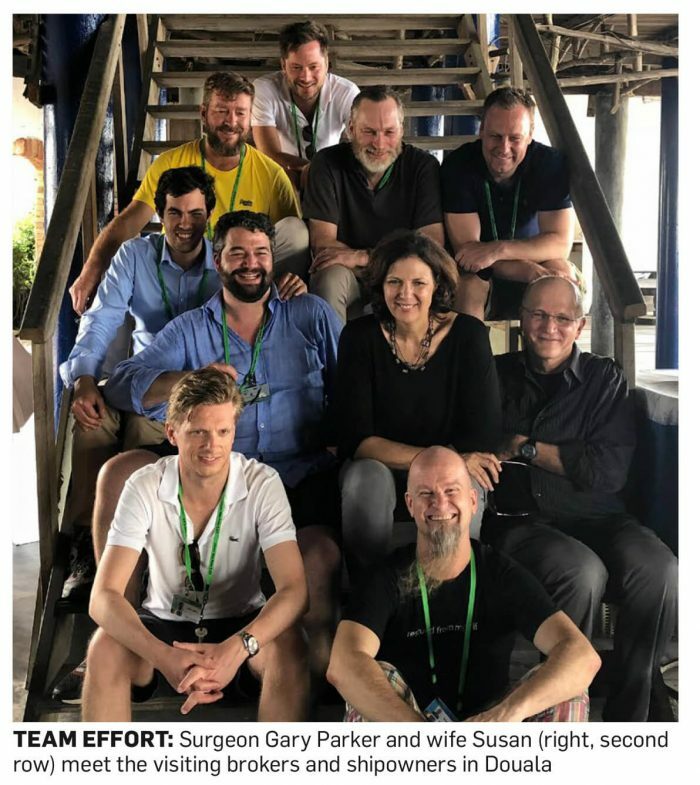 The group visiting the Africa Mercy met, among others, maxillo-facial surgeon and chief medical officer Gary Parker, who has served 31 years onboard Mercy Ships’ vessels. A new ship is under construction in China. Ellefsen summed up the thoughts of those visiting the Africa Mercy when he told TradeWinds: “Mercy Ships truly makes a difference to peoples’ lives. Being able to witness all the work they do for those living in the poorest countries in Africa makes me believe even more in the Mercy Ships’ organisation and that our support really is needed and makes a difference. Dedication of the 450 or so volunteers onboard was encapsulated in Martha Rodriguez at the HOPE Center, an onshore hospital outpatient extension to provide housing for patients and caregivers near the ship. Rodriguez, who has served with Mercy Ships for four years, told TradeWinds that she had amended the badge she wears from HOPE Center manager to HOPE Center servant. Mercy Ships is in its 40th year after being founded in 1978 by Don and Deyon Stephens.